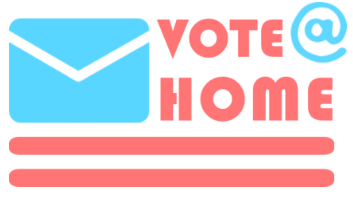 Common Cause and Vote@Home are releasing the Executive Summary of a new report that will be completed after all election data is in. Imagine the perfect voting experience. You drop by the polling place on the way to work or school; the line’s moving quickly, so it doesn’t take more than a few minutes to get to the check-in desk. Once there, your registration is rapidly verified and you’re handed a ballot by a friendly face. No one hassles you, no one unfairly questions your eligibility. You step aside to a private booth, fill out the form and have it easily scanned. You get a receipt – and the cherished “I voted” sticker. The whole thing takes about five or 10 minutes. Upon leaving the site, you not only experience that frisson that reminds you that you’re a part of something bigger – civic pride! – but also get out of there in time to drop off the kids at school and make it to work on time. In many ways, it’s a day like any other: you go carry on with your duties as you otherwise would. In another, though, it’s a special and unique experience; you participated in an act that for many were hard-fought and hard-won, that is a guaranteed right to you as a citizen, and that helps direct the course of the nation. You voted. And, because of that, you got to be one of the country’s critical decision-makers. It may not yet be the norm, but in Colorado, and in states with more in-person and at-home voting options, such elections model ensures an experience that benefits both voter and administrator alike. And boosts turnout. So what keeps citizens from participating? To be sure, a number of variables prevent Americans from regularly voting, including disinterest due to a perceived corrupt system, a feeling that one’s vote “doesn’t count” against special interests, and suppressive measures such as restrictive photo ID and registration laws. Education level, income, and other factors come into play, too. But when asked about their absence at the polls, registered voters additionally cite both a lack of time and access as reasons why they don’t show up. For example, in 2016, registered voters listed the following time- and access-related reasons for not voting: “too busy or conflicting schedule” (14% of those polled); “illness or disability” (12%); “other” (11%); “out of town or away from home” (8%); “registration problems”(4%);“transportation problems”(3%);“inconvenient hours or polling places”(2%).4 All told, when including the “other” reasons, the majority of registered Americans claimed not to have voted in the last presidential election because of access or convenience issues. Not because they thought the system was corrupt. Of course, those who aren’t registered – a population that includes an overrepresentation of low-income, minority, and younger citizens – must first overcome that obstacle and be brought into the system; and they cite additional reasons for not being involved. But states’ efforts to both improve registration and make voting an easier and quicker process could result in much-improved turnout rates for the very reason that such changes address American’s time and access concerns. day registration, offer early voting, and eliminate strict photo ID requirements (particularly since there are more effective and fair ways to ensure elections security). Colorado, in addition to offering a more comprehensive package of reforms, does just that. As such, the low cost of voting in the state makes participation that much likelier. § Unlike states with strict photo ID measures, Colorado imposes a much less onerous identification requirement. The dearth of in-person voter fraud simply doesn’t justify imposing an ID that roughly 11% of the population does not have. As such, Colorado elections officials accept, in addition to driver’s licenses, various forms of ID5 including: student IDs, Medicaid cards, and documentary proof such as utility bills and bank statements. Those who don’t have any of those forms, moreover, may vote a provisional ballot, and then provide ID up to eight days post-election. § Additionally, as part of ERIC (ElectronicRegistrationInformationCenter), Colorado safely exchanges voter registration information within other participating states to keep its rolls updated without purging valid registrants who still live in-state. § ColoradoprovidesampleopportunitiesbeforeElectionDayforeligiblevoterstoregister through pre-registration for 16-year-olds, online voter registration, and automatic voter registration at motor vehicle offices, resulting in a registration rate of 90.057 of all eligible voters. § Colorado empowers voters to decide when and where they want to mark their ballots. Ballots are automatically mailed to active voters between 18-22 days before the election. Voters who register to vote within seven days of Election Day will receive their ballot in the mail. Voters have ample time to make their selections, giving them the opportunity to research issues and candidates, and may additionally vote wherever they choose. § Colorado provides convenient options to submit completed ballots, including: 24-hour drop-off boxes, vote centers (Denver County has a Mobile Vote Center as well), drive-through drop-off locations, or through USPS. Most voters choose to drop-off their voted ballot as opposed to mailing it back. § During a two-week period leading up to the day before the election, and on Election Day itself, eligible voters may both register and vote using Same Day Registration at any number of strategically-placed vote centers. To be sure, election administration is about continuous improvement and Colorado has a few elections matters it could still improve. For example, its allowance for some voters to return completed ballots electronically raises some security concerns but Colorado continues to look for opportunities to further enhance security. But states can and should begin implementing Colorado’s in-person and at- home options to encourage widespread turnout and ease elections administration. § To ensure vote centers serve citizens efficiently and with minimal confusion, plan the votercenter to optimally serve voters based on the volume that you expect. Larger jurisdictions with higher volume have different challenges than smaller to medium size counties. It’s important to plan the vote center operation for maximum efficiency for the voters and the administrators alike. § As other states adopt these voter-centric models, additional best practices are sure to surface. 12 Id. at 13, 14.